When Manchester City conceded six goals from six shots on target many football fans laughed. What terrible defending, they chuckled, what a damning stat. Quieter, more thoughtful observers may have noticed that there were in a manner of speaking two stats, and they told different stories. City faced six shots on target. Stat one. They conceded six goals. Stat two. Teams do not usually concede at every opportunity. Typically a Premier League team facing six shots on target will concede two goals. 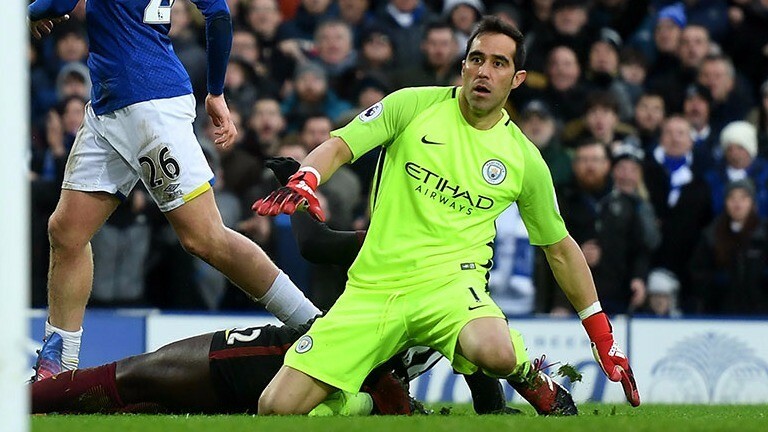 So what was the best measure of City’s defending in those Premier League games against Everton and Tottenham – goals or shots? Over 24 Premier League games City have conceded more goals than usual from the shots against them and scored fewer than usual with their own shots. Do they have bad finishers? Although they allow opponents only a few chances, are all of them dangerous? Or have they been unlucky? Or some mixture of those possibilities? When stats send out conflicting messages there is a tendency to pick one and say it is telling the truth while the other is misleading. It ain’t necessarily so. FiveThirtyEight is a US website run by sports and political data analyst Nate Silver. It now makes forecasts for European football as well as baseball, basketball and gridiron. Most are similar to my own or those in betting markets. The interesting ones are the other ones. Rightly or wrongly, FiveThirtyEight seems to pay less respect to a club’s stature. It considers four indicators of a team’s performance in each match – goals, adjusted goals, expected goals from shots and other things. Adjusted goals count for more when they change the result and less when they do not. Expected goals from shots is a more sophisticated measurement than simply totting up attempts. It involves taking the position of each shot and calculating how often in the past efforts from those co-ordinates reached the net. Other things are different actions in or near the penalty area – for example, passes and interceptions, dribbles and tackles. FiveThirtyEight gives the same weight to each of those four performance indicators. So shots count for no more than the score, and no less than some other stuff. For different stats in a different setting, a different mixture might prove more revealing. Whatever the circumstances, though, FiveThirtyEight’s methodology is sound. When two stats contradict each other, rarely is one entirely trustworthy and the other utterly unreliable. Usually something messier is happening. Each is telling us a bit of what we need to hear and a bit of what we do not. Roy picked the reserves – or the stiffs as they were supposedly known in those days. Fans were aghast. Had Roy lost his reason? What was he thinking? When the match started spectators realised that the reserves were used to playing on a bad pitch and could take and give hefty challenges. Rovers won easily. Roy was acclaimed as a tactical genius. What mattered, apparently, was the effort and enthusiasm of youngsters eager to impress. The idea has not worked so well in real life. Liverpool fielded reserves in the FA Cup third round, where they were taken to a replay by Sky Bet League Two Plymouth, and in the fourth round, where they were beaten by Championship Wolves. Watford reserves lost at League One Millwall, where Bournemouth reserves had been beaten in the third round. A second-string Leeds from the Championship lost in the fourth round at non-league Sutton. What really matters, it seems, is not effort – running around a lot and getting stuck into tackles – but having more skilful players. Fact, for those who love the game of football, should be more reassuring than fiction. A pre-mortem should reduce the risk of having to conduct a painful post-mortem. A post-mortem is an investigation into what went wrong. A pre-mortem is an attempt to identify things that could go wrong before they go wrong, so steps can be taken to lower the danger of them going wrong. Pre-mortems are performed by some businesses and could be performed by more bettors. Matthew Syed explained what they involve for businesses in a book called Black Box Thinking. Business plans and sports bets have something in common. It is better to discover any flaws in them before you proceed rather than after. Pre-mortems can easily be performed on bets. Suppose you are thinking of backing Derby to win their FA Cup replay at Leicester. Fast-forward in your mind to 10pm on Wednesday. Imagine the bet has failed. Why did it fail? Obviously there is a trite answer that won’t help: because Derby did not score more goals than Leicester. But there is a way of doing this that might help. When I am considering bets on cards or corners, for example, I know they could be influenced by how and when goals are scored. If I back a team to take most corners, I know the bet is more likely to fail if they score early and keep their lead for the rest of the match. They will probably not do as much attacking after they have scored. If I bet on a low number of cards in a game with a strong favourite to score most goals I know it is more likely to fail if they do not score most goals. Frustrated expectations can make players angry. I try to think of scenarios in which the bet is more likely to fail, estimate as well as I can the likelihood of those scenarios, then adjust accordingly the odds at which I would be willing to bet.